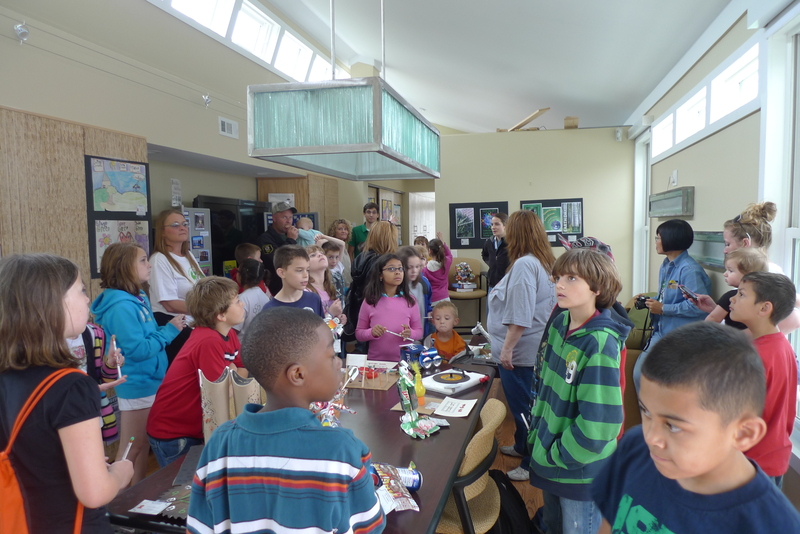 After the hustle and bustle of the morning’s tours, families and other Earth Day attendees walked through the homes to satisfy their curiosity for sustainable living. To set up a personal tour of the Solar Village, contact Julie Wilson (wilsonjulie@mst.edu) at the Institute for Environmental Excellence (iee.mst.edu). While not what we hoped for, the team walked away from the P3 awards with an Honerable Mention, which puts us in the top 50% of the P3 groups. As less than 10% of the groups were awarded Phase II, we are very proud of our achievements. The DC Chameleon Automation team is in their second day of judging and public presentations. The second and final group of judges came by to hear what the group had to say earlier this morning. Many good questions were asked but overall the judges seemed impressed. The team is waiting earnestly for Sunday night to hear the results! They are hard at work presenting their project- no time to slack off (except for the occasional cheesecake…). revolution and produce green jobs for the U.S.
be harnessed from the sun. and Eastern Mennonite University (Harrisonburg, VA). 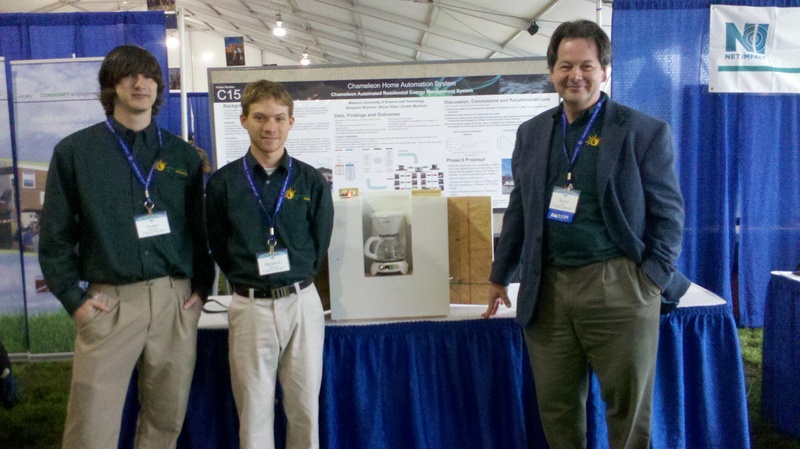 Campus Conservation Nationals, Earth Day Network and more. Americans to protect wildlife for our children’s future. Visit www.nwf.org. Contact: Jennifer Fournelle at 703-438-6002 or fournellej@nwf.org.